If you’re thinking of enrolling in truck driver training, many educational institutions offer various certification programs to help you land your first job. Studying to become a diesel technician is one option worth considering that offers job stability. As a prospective student, you’re bound to have several questions about specific education requirements and the ins and outs of the job. To prepare for your new career, below are answers to several popular questions. Many employers look for candidates with post-secondary truck driver training, with an emphasis in basic diesel repair. In training programs, students become familiar with the diesel engine components, electrical systems, and how equipment generates power. They also receive hands-on training in repairing broken components, including how to use computer diagnostic software to identify problems. At the end of training, students receive a certificate or an associate degree. To earn National Institute for Automotive Service Excellence® (ASE) certification, technicians must also have two years of work experience and pass an exam. 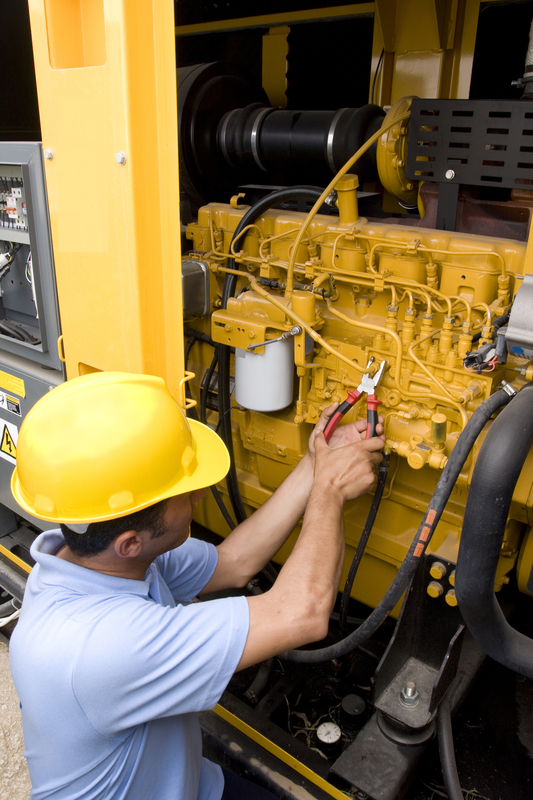 Technicians inspect and repair buses, trucks, industrial equipment, and any other vehicles and machinery with diesel engines. Similar to mechanics, they also service and inspect wheels, batteries, and mechanical parts that impact engine performance. Technicians work in repair shops, travel to clients’ locations, and provide roadside assistance. Although salary varies by employer, average yearly earnings are $46,360 or $22.29 per hour. Technicians earn more as they advance in their careers. Employers often pay technicians with post-secondary training more than those who enter the workforce right after high school and learn on the job. Are jobs in high demand? Diesel engines are used to power commercial vehicles, ships, and generators used in various industries. Because trained specialists need to repair and maintain equipment, there is a high demand for diesel service technicians. Employment is expected to grow by 9% by 2026, which means you’re likely to find a job quickly after completing truck driver training. If you want to start a rewarding career as a diesel specialist, contact Professional Driver Institute in Churchville, NY. The trucking school provides small class sizes so instructors can work one-on-one with students to home their diesel service skills. They will also assist in finding your first entry-level job. To learn more about truck driver training, call (585) 293-1203. You can also visit the school online for program details.